Time for the next step in our project: the fifth block in the October Cathedral Windows Quilt-Along! 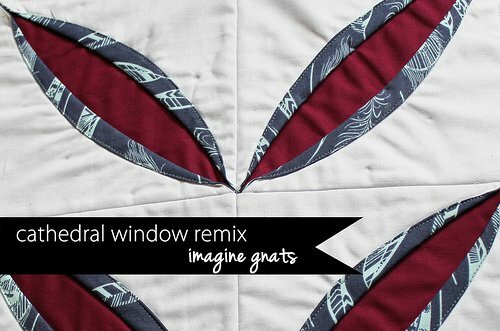 "Today, I'm sharing with you the free tutorial for my cathedral window remix block! Now, I must confess that I've never actually made a "proper" cathedral window block (it's on my to-do list, I promise! 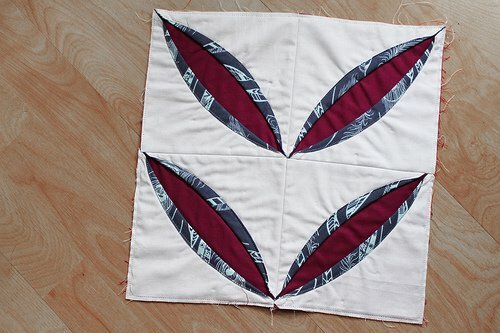 ), so I was a little uncertain on where to start with this block. But then I remembered these orange peel-inspired pillows from Jacquie of Tallgrass Prairie Studio and knew I had to find a way to construct a similar square using the fabric folding techniques of traditional cathedral window blocks. I hope you enjoy making this block as much as I did!" View Rachael's step-by-step tutorial here. Be sure to check back on Thursday the 18th for the next block in the series!